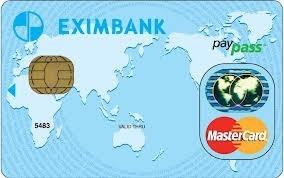 MasterCard Europe announced the 2012 milestones for MasterCard PayPass showing that consumers are embracing the Tap&Go payment experience in 26 counties across Europe – including eight new countries in 2012. Since January 2012 growth in cards enabled with PayPass is up more than 50% and top PayPass countries, such as Poland, have more than 50% cards enabled. In addition to Poland, large PayPass card footprints are now well established in France, Germany, Italy, Turkey, Russia, Switzerland and the UK where in each country there are close to or far above a million enabled cards. Retail acceptance almost doubled in the same time period and has now reached 255,000 locations in Europe. Important new retailers now accepting PayPass include Marks&Spencer, IKEA, Transport for London (TfL) and BP. PayPass is the contactless payment feature that provides consumers and merchants with a fast and convenient alternative to cash for everyday purchases. PayPass can be added to any MasterCard or Maestro debit, credit or prepaid card. Globally, PayPass is present in 48 countries and accepted at nearly 550,000 merchant locations.